The busy Thanksgiving holiday weekend brings the latest from Pixar, a tale of Charles Dickens and more. 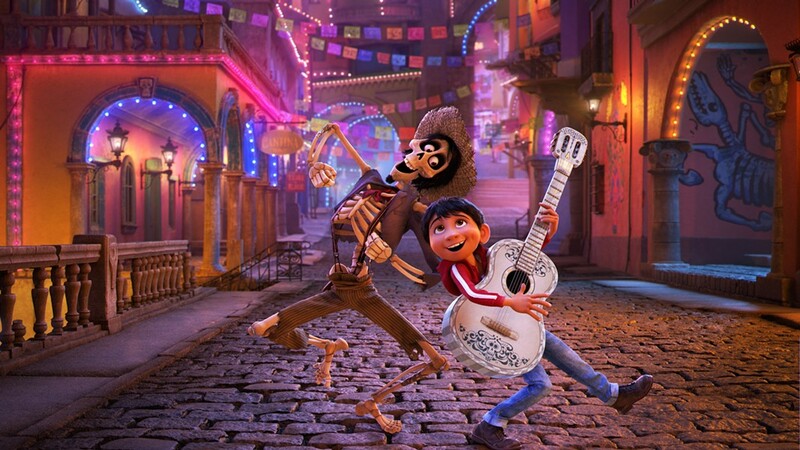 Disney/Pixar's Coco (pictured) creates a fascinating new world with an emotional hook that might be tied to its cultural specificity. Novitiate (opening Friday at Broadway Centre Cinemas) sensitively explores the emotional upheaval at a convent after the Vatican II reforms. MaryAnn Johanson praises a trio of great performance in Richard Linklater's road-trip drama Last Flag Flying. The story of Charles Dickens' creation of A Christmas Carol becomes the affable gentle holiday biopic The Man Who Invented Christmas. Also opening this week, but not screened for press: Denzel Washington plays an idealistic defense attorney facing one of his toughest cases in Roman J. Israel, Esq. In this week's feature review, righteous anger gets a caustically funny critique in Three Billboards Outside Ebbing, Missouri.